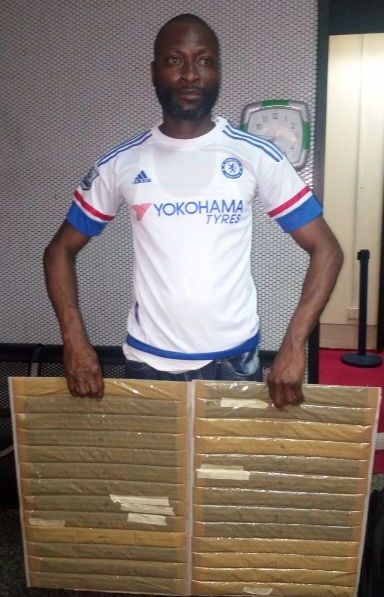 NDLEA has recovered parcels of methamphetamine valued at N31 million from a South Africa-based Nigerian. 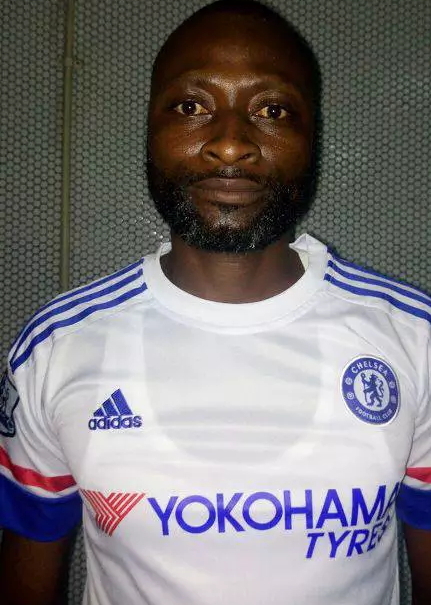 The Head, Media and Publicity of NDLEA, Mitchell Ofoyeju, said that the suspect, Abiodun Banjo, 45, was arrested at the Murtala Mohammed International Airport (MMIA). The arrest took place during the outward screening of passengers on a South African Airline flight to South Africa. “The parcels of drug tested positive for methamphetamine and weighed 3.435kgs with a street value of N31 million in Nigeria,” Ofoyeju said. The suspect, a graduate of Technical College, Ijebu-Ode, has been living in South Africa since 2012. He hails from Osun State. Banjo, who works in South Africa, said the bags were given to him by a friend in South Africa. “I work in Pretoria. My friend in South Africa called me that his brother would give me two bags containing foodstuff to take to him. He also promised to give me $2,000. I opened the bags and checked thoroughly, but couldn’t find anything incriminating. Hmmm, if your confession is true, then your friend is wicked. Believe me, this friend of yours will deny you. Banjo, u are on your own. It takes the Grace of God for you to get out of the hook. A pathetic case. he said he searched the bags thoroughly,and couldnt find anything incriminating,the question there is who planted the meth in the bags? is it NDLEA or the suspect is lying?.for me i dont trust both the suspect and NDLEA.two of them na suspect. @RAPO THE TRIBALISTIC MAN COME and see your brother involved in the same crime that makes you call other tribes PiG.. so do i say you are also from a PiG tribe clueless person. Proper investigtion will differenciate the outcome of this case. This is serious and should not be treated with levity. The friend he claimed sent him should be invited or promptly arrest and deal with him if he refuses to honour the IV. Investigtion can continue from there. I do not believe this guy. A friend promised to pay you $2,000 just to bring foodstuff for him? When we travel home we bring foodstuff for free for our friends from their families. This is a big lie. Ok, lets take your excuse at face value, if actually you checked the bags and found nothing incriminating, then it means the NDLEA planted it in your bags because you did not bribe them. Hmmmmm. @huchennar,I fell outrightly for his cheap fat lie. Mr, you’re a bloody liar. Chei!! You implicated yourself with that $2000 of a thing. How much foodstuffs do you have that will make him part with such money ? Maybe the foodstuffs do cure cancer.